Homestead Farm is a Registered Egg Grading Station located just 1 km away from the Holland Marsh. 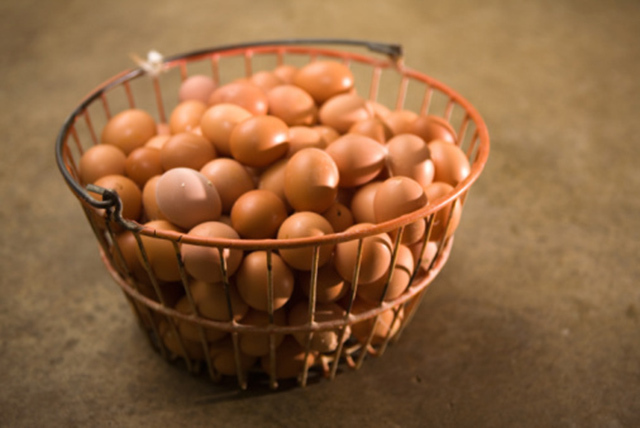 We started grading eggs in 1978 when my parents Tom & Margaret Flack wanted to supply our eggs to local stores. All the eggs that we couldn’t sell ourselves went to a larger egg station at the end of the week. That gave us a fresh supply of eggs for our local customers. Products include egg varieties, an assortment of premium cheeses, natural Canadian honey, jams, ciders and juices, and a variety of apple products (from apple butter to apple syrup). For more information please call 905 775 2106 or visit the website.